When it comes to the master plan of our house, I pretty much know what I want – right down to the bathroom tile and the refrigerator in our yet to be built kitchen. These are part of bigger projects that are somewhat off in the future. But there are small projects all around our home that could make a huge difference in our day-to-day living – as in make it more like living, less like camping. That is where I seem to have decision paralysis. For example, I could paint the bedroom. It’s currently an awful shade of beige/flesh. It’s depressing. It’s drab. It’s the last thing we see before we go to bed and the first thing we see when we wake up. And yet, I can’t decide what color to paint it over. 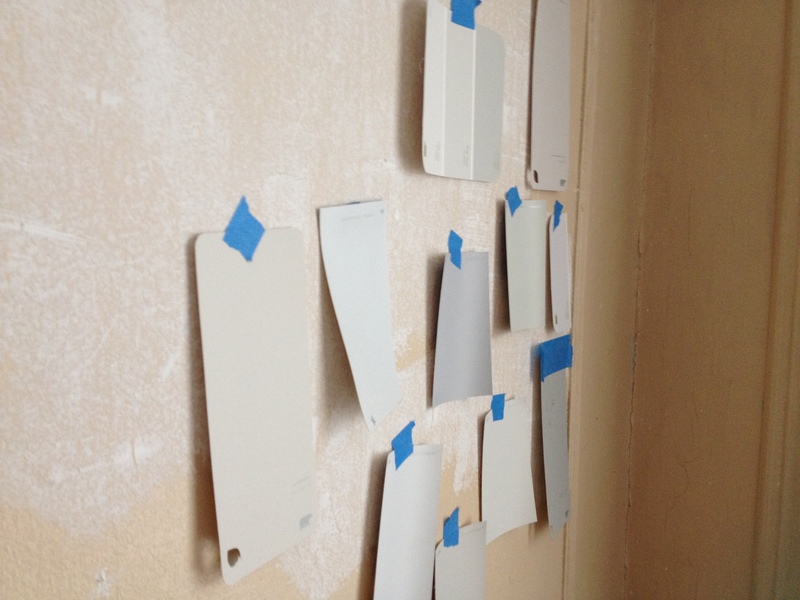 I’ve had paint chips taped to the wall for a year. And I still can’t decide. Exhibit A: curled up paint chips from a long time ago. Our bedroom is currently a hovel. It’s utilitarian, but not pretty. A master bedroom as an oasis? Ha! Not ours. Exhibit B: Our gross walls. 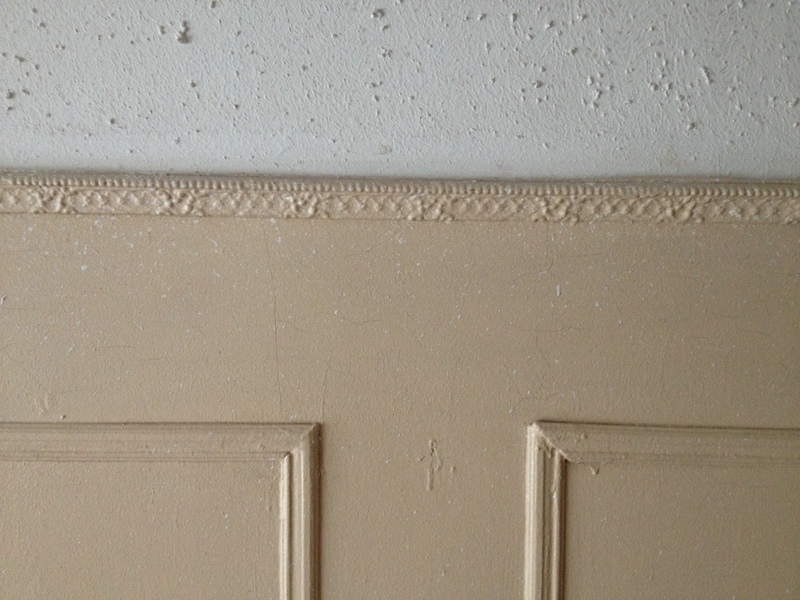 The walls are cracked and need to be skim coated (I could do that). There is ugly popcorn on the ceiling and moldings (I could remove it – actually started and got about 1/3 done and stopped for some inexplicable reason). It’s really time to just take a deep breath, pick a color and get it done already! On a side note, why would anyone paint their walls this awful flesh-tone color?